The next activity will be clearing away some of the grass and sowing of wildflower seeds in the proposed meadow area. This will take place on Saturday 13th April, starting at 10.00 am. Meet at the Church Lane end of Knighton Green near the bridge. More details available here. Contact knighton.green@knightonwild.org.uk if you would like to get involved or take part in the sowing. The group planted seven apple trees (all local heritage varieties) starting on Thursday 28th February 2019. 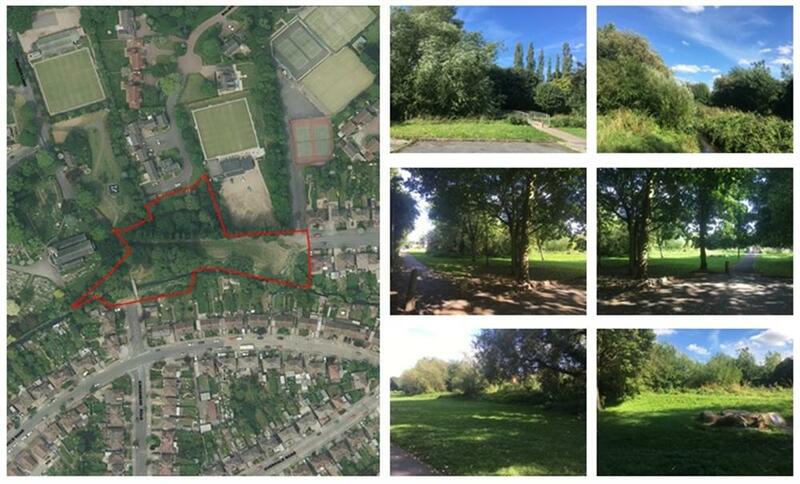 Leicester City Council offered the piece of land between the end of Kenwood Road and Church Lane to community groups for them to propose projects. Knighton Wild has organised a couple of meetings for local people and, with support from the City Council’s ward fund and money raised from Open Wildlife Gardens in July 2018, has begun working to improve this area of land. Friends of Knighton Green has now been established. In November 2018, ten scouts from 68th Leicester Scout Group and half a dozen members of Leicester De Montfort Rotary Club planted 2,000 crocuses along the side of the footpath. A small community orchard of local apple varieties including Annie Elizabeth (see note below). Contact Knighton Wild if you are interested in getting involved. Annie Elizabeth – The Annie Elizabeth apple was grown originally in 1857 by Samuel Greatorex, a magistrate’s clerk, who lived in Clarendon Park in Leicester. Samuel planted a pip and he named the apple to commemorate his illegitimate baby daughter who died in 1866. It is a large very firm red and green cooking apple, going golden when ripe, and it keeps well. The original tree is still growing in Clarendon Park. Annie Elizabeth is buried in St Mary’s churchyard.